Review: GitHub vs. 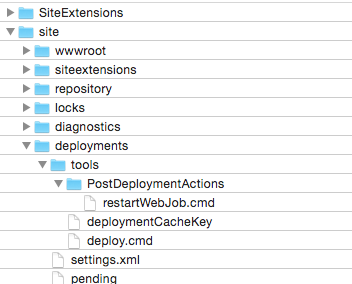 Visual Studio Team Services (VSTS) – Should you switch? Disclaimer: This article is about Visual Studio Team Services (VSTS) and GitHub. The author has a very positive opinion about both services and does not get any offers from Microsoft or GitHub writing this article. The whole article is written IMHO. Nowadays thanks to bower, npm, bundler or NuGet the amount of Git repositories are growing steadily. When you are focused on component based software development Git is a great helper but the amount of repositories is sprawling because very often every component has its own live in a separated Git repository, which means you have a separate release cycle and a different versioning compared to your main project. I guess this is the secret source of component managers which are working closely together with git repositories. Of course VSTS and GitHub are supporting multiple git repositories but GitHub lets you pay on a package on git repositories, VSTS lets you pay for users. Especially for small teams paying for users is the better deal, compared to paying for repositories. At the end Microsoft offers a smaller groups of 5 everything for free. This fact stopped my permanent GitHub problem: Having too less private repository space. Forks and pull requests are the most important features GitHub introduced very early to support community driven development. I would say in the open source world Github is the platform when it comes to forks and pull requests. Currently I would never think about moving open source repositories away from GitHub because of this great feature. Even if your projects comes with a great code coverage and good unit tests, the requirements to execute manual tests or just to orchestrate automated integration tests exists. VSTS implements based on the work item management a test case management which has the option to integrate it with automation bots via WinRM and other protocols. The ability to document test cases and write specific step by step guides how to verify a feature is a big plus esp. in small teams where no dedicated QA resources are hired. For a couple month Microsoft offers virtual TFS collection, which allows companies that want to go pave the road for git based repositories to stay with the existing centralised source code management besides new git repositories. In the early day VSTS just supported a TFS collection per project space but now maintaining TFS collection is that easy as it is creating new git repositories. 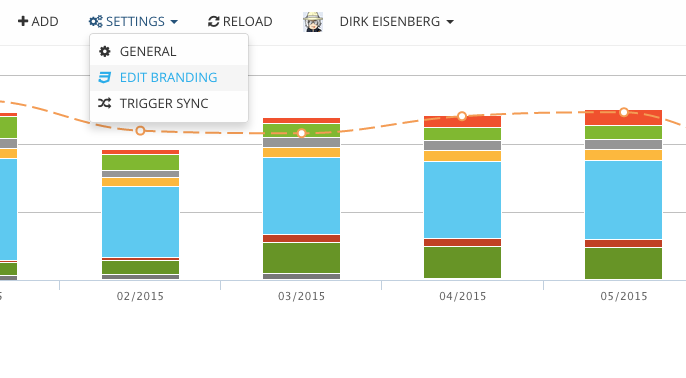 This will become very important features for existing TFS customers. Since Microsoft supports Windows, Linux and Mac build agents there are no road blockers anymore, besides that the hosted build services for VSTS are very rare. There is a build server Microsoft offers out of the box but from my experience you will get more problems customizing that. When you are focused on Azure check also what the Azure App Services can do for you because KuduSync offers out of the box build for your .NET application during deployment. There are also other options and products on the market and I guess one of the most popular one is Assembla which is pretty comparable to Visual Studio Team Services. 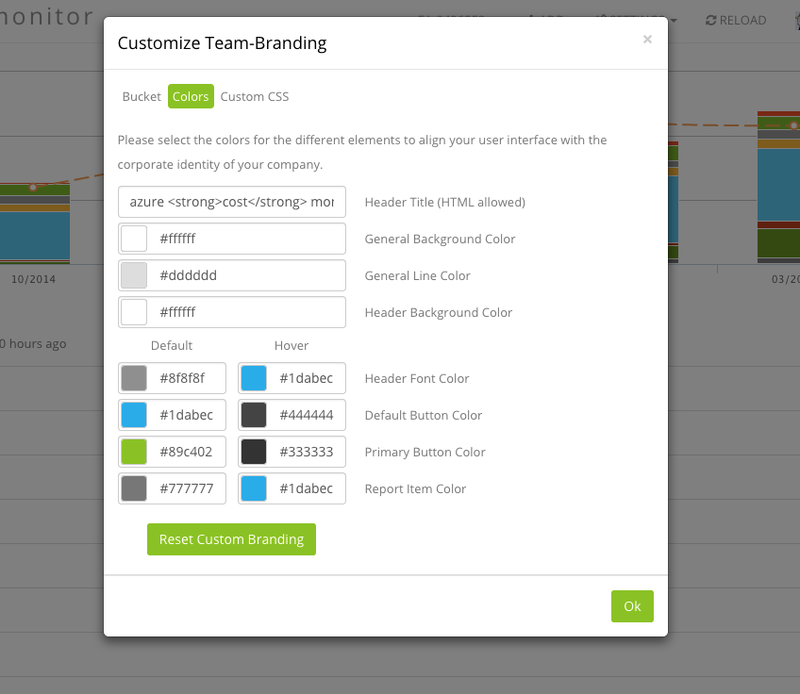 Also the products from Atlassian (Jira, BitBucket) are great options supporting your development cycle. This article had the intention to support companies who are dealing with GitHub and / or On Premise TFS and now are thinking about combining the positive of both. I personally think GitHub could become a great option for enterprises as well, when the Issue-Tracker problem is solved which was mainly the reason why I searched for an alternative! Big Data often has something todo with analysing a big amount of data. The nature of this data makes it possible to split it up into smaller parts and let them be processed from many distributed nodes. Inspired from the team of CrowdProcess we like the idea to use the computing power of a growing web browser grid to solve data analytic problems. The Azure Cost Monitor does not have the requirement to solve big data problems of user A in the browser of user B, we would never do this because of data privacy but we have a lot of statistic jobs which need to be processed. From an architecture perspective the question comes up why not to use a growing amount of browser based compute nodes connected with our system instead? Starting with this idea we identified that WebWorkers in modern browsers are acting like small and primitive compute nodes in big data networks. The team from the SETI@Home project also gave us the hint that this option works very well to solve big data challenges. It’s also important to understand that some smaller devices like a RaspberryPI which is used for internet browsing or an older smartphone is not able to process the job in time to generate a great user experience. Because of this, the picture changed a bit and we invented a principal we call “Preemptive Task Offloading”. 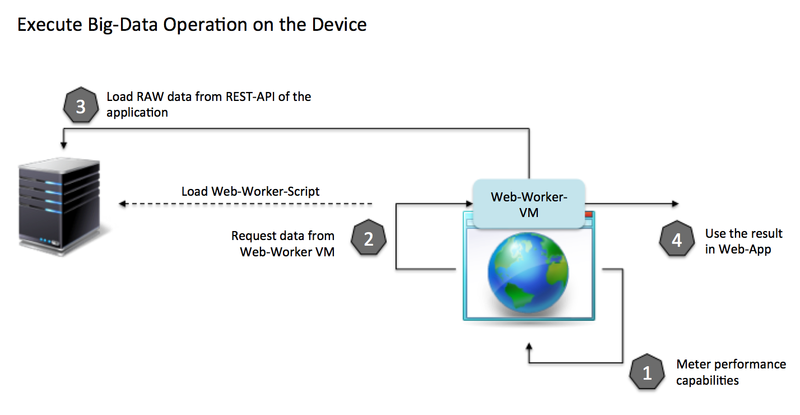 “Preemptive Task Offloading” lives from the idea that the server and the browser are using the same programming language and the same threading subsystem to manage tasks. Because of that the service itself can decide whether it moves tasks in the browser on the end user or pre-calculates them on the server to ensure great user experience. The illustrated solution is able to improve the user experience for your end users dramatically and lowers the hosting costs for SaaS applications in the same time. After testing this idea several weeks, I can say that this approach helps a lot to build high performance applications, with acceptable costs on the server side. Personally I don’t like the approach to give customer sensitive data into the browser of other customers to much, but I think this approach works great in scientific projects. What do you think about big data approaches in the browser? What are your pitfall or challenges in this area? Just leave a comment bellow or push a message on Twitter. 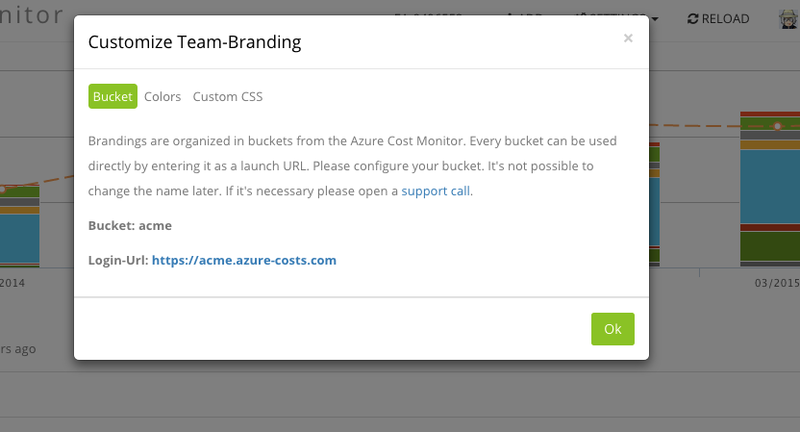 The Azure Cost Monitor Team is very pleased to announce the launch of the Azure Active Directory support starting today. Microsoft Azure Active Directory is an identity and access management cloud solution that provides a robust set of capabilities to manage users and groups. It also helps to secure access to cloud applications including Microsoft online services like Office 365. 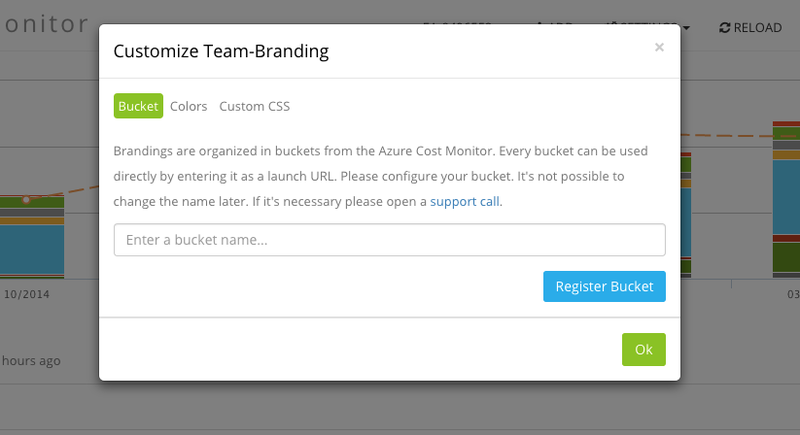 With the new feature, the Azure Cost Monitor allows to link teams against an existing Azure Active Directory. By doing so, a centralized identity and access management can be realized easily. The support of Azure Active Directory Groups, enables you to grant access to dedicated groups of people or departments within your enterprise. This ensures an easy integration into your existing IT service infrastructures . Last but not least, a seamless sign-in experience for all users (single-sign-on) can be generated by combining the Azure Directory setup with the customer buckets feature. 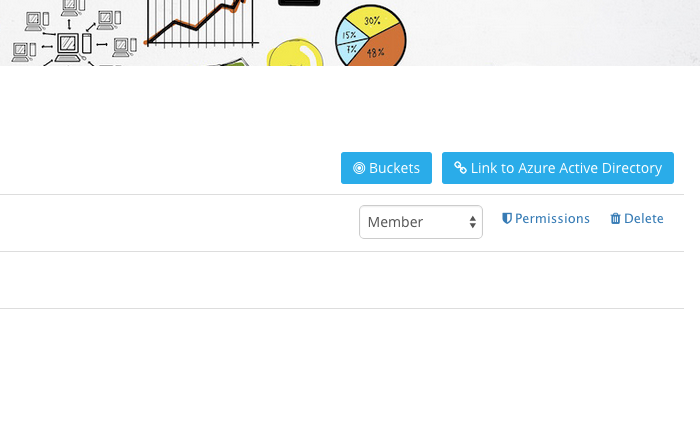 Follow the description and login for the first time with a global administrator of your Azure Active Directory to give the required consent that allows users of your Azure Active Directory to sign in to the Azure Cost Monitor. After the successful consent save the directory settings. 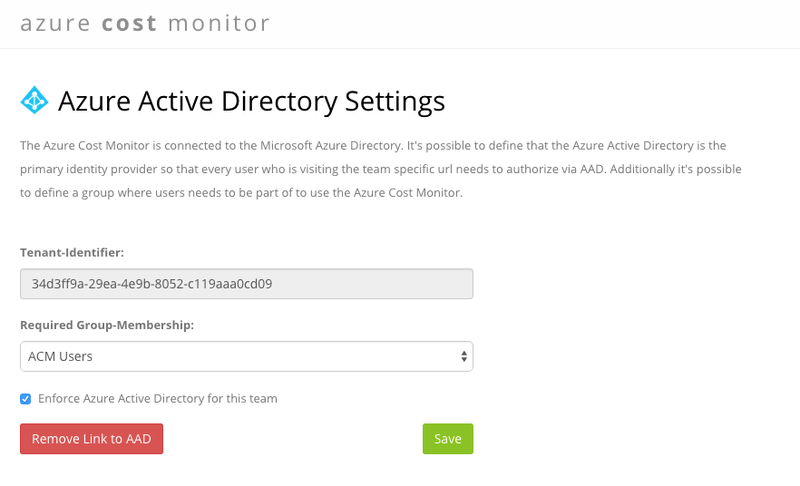 All users of the Azure Active Directory can use the Azure Cost Monitor now. Configure a new bucket so that all users will be redirected to the Active Directory Sign-In process automatically. This step is optional and can be done later as well. The new feature integrates the Azure Cost Monitor more seamless into existing IT service infrastructures and increases the end user experience of your team members and co-workers. Especially the group based permission support allows you to delegate the access management to a centralised IT organisation.